Sri Lanka Cricket (SLC) stated in May that it will “extend its fullest cooperation” to the ICC after alleged plans relating to doctoring pitches for Test matches in the country were uncovered. 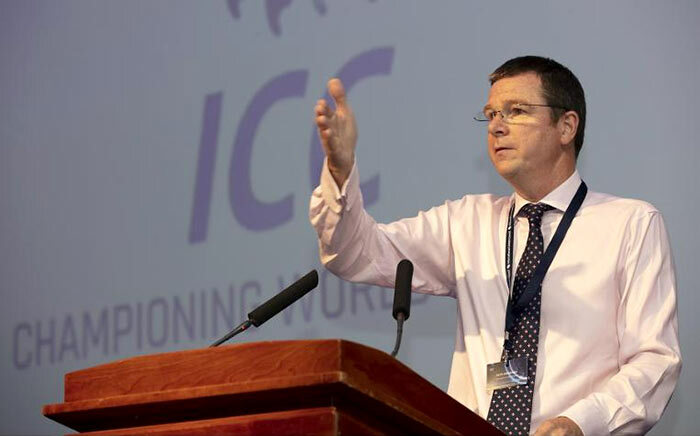 “We are currently in Sri Lanka as part of our ongoing investigations into serious allegations of corruption in cricket in the country,” said Marshall. “The enquiries are continuing so it would not be appropriate to comment further, but I can confirm that we have, at their request, provided a detailed briefing to the Sri Lankan President, Prime Minister and Sports Minister. “We are receiving full support from the Competent Authority currently in place at Sri Lanka Cricket (SLC) whilst elections for the SLC Board are pending. “I’d like to make it clear that these investigations have been under way for a considerable time and do not relate to the series about to start in Sri Lanka. the idea that the SL ground staff doctoring the pitches is preposterous. To start with the very grass that makes up the turf that the pitches are made of is probably bred in either england or australia and for these grasses to survive the ground start need to maintain optimum conditions dependent o irrigation and yempereatures. Generally the pitches in SL carry more grass than most countries except perhaps in england where it is cold even during summer and rains ever so oten that five day test games are generally limited to about four days and then abandoned. The cointy matches more often than not is limited to 3 days and oftwn restricted to less than 2 days and then abandoned. The limited over matches go through the same fate. Further the groundstaff generally are clueless abound grass agronomy and husbandry. SLC should dissolve with immediate effect. Should form a cricket board asap.